Red Tiger Gaming has created a lot of slot games based on various themes. These slots are usually of great quality and one of them is the subject of this review. 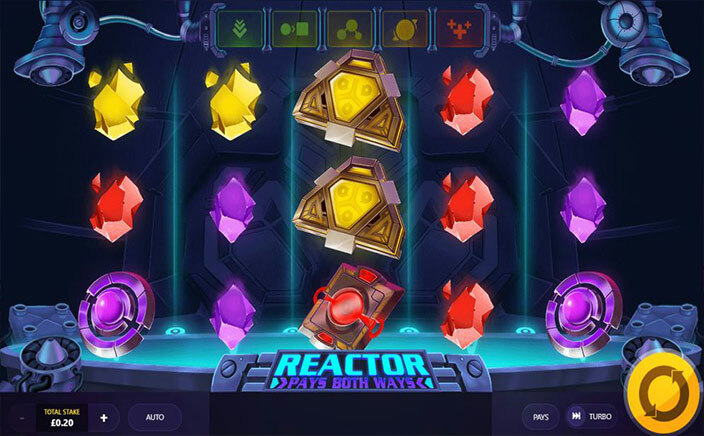 Called the Reactor slots, it features a look that can only be properly described as futuristic, can be accessed on all devices, has plenty of interesting features and plays like a boss! 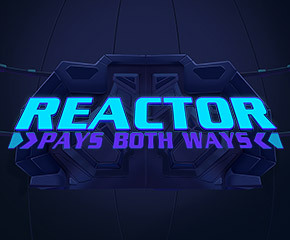 Catch Hot Fun With The Reactor Slots! There are 5 reels and 20 paylines in this creation, which happens to have a win both ways formation. Bets per spin start at 20p and end at ₤20 and consequently appear optimised for low rollers. The audio and visual effects on show in this slots online are definitely of above average quality. The setting is what appears to be the reactor of a spaceship of sorts and there’s a catch space-age feel to everything within view. Featured on the reel set are 4 vivid crystal icons, as well as 4 machine parts that are of higher value. One of the latter is painted green and yellow and pays out 20x the stake whenever the players land 5 of it on an active payline during gameplay. The wild in the Reactor slots is a crackling ball of contained electrical energy. This icon takes the place of all other icons within view, bar the battery icon and is able to offer payouts of 25x the stake. The battery icon on its part has a role in the featured bonus round. 3 Battery icons trigger a single respin, during which both random wilds and Icon Swap features are activated. 4 Battery icons trigger a single respin, with the Icon Swap, random wilds and Mega Wilds being fully active. The latter results in the adding of mega-sized icons to the reels. 5 Battery Icons triggers a single respin, during which the Icon Swap, mega wilds, random wilds and win multipliers of up to 10x are fully active. The Reactor slots is a simple creation that ends up being enchanting! Excellent visuals and audio effects, very engaging gameplay mechanics, bonuses aplenty and max wins of up to 5,000x make this a slot for all seasons!